It is scheduled to air on CNN Headline News Sept. 12-14. “SoCal News” is one of three five-minute segments that rotate in a time slot at :24 and :54 after the hour on Headline News (channel 47) throughout Time Warner Cable’s Ventura County coverage area. 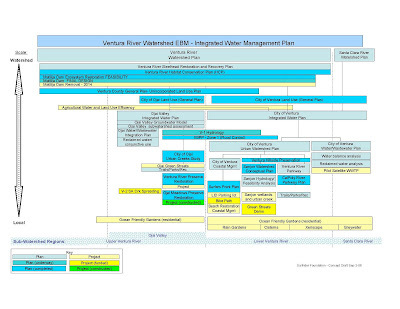 I have been doing some research, trying to envision what an Integrated Water Management Plan might look like for the Ventura River bioregion. 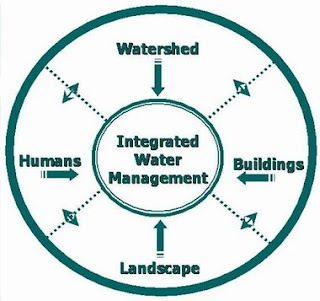 Combining water supply, wastewater, stormwater, and land use into one integrated plan is certainly not straightforward, but it is necessary. There is a clear need to cut through the multiple layers of jurisdiction and regulation, and an even greater need for education and awareness at every level. (I'm looking forward to the 'Watershed U' program) The good news is that this type of planning is being done elsewhere, so we don't have to completely forge a new path. I believe we have the resources and opportunity to accomplish this for the collective benefit of all interests in the watershed. 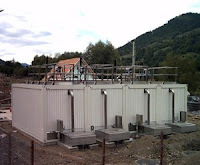 Once the watershed council has a broad overview of how things fit together, the more detailed plans can be worked out. Then developing integrated solutions should come easily, and will solve multiple existing problems and ensure that money is spent wisely. We already have some huge things happening (i.e. 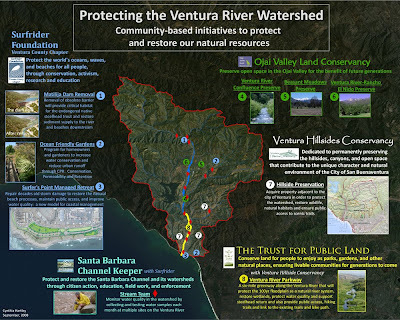 Matilija Dam Ecosystem Restoration and others) and I believe we can build on this to draw more grant funding to implement a watershed plan. My greatest concern is that without an integrated vision for where we need to go, money will be spent on redundant or outdated programs, large grant opportunities will be missed, and in the end the security, economy, and health of our community will be at risk.